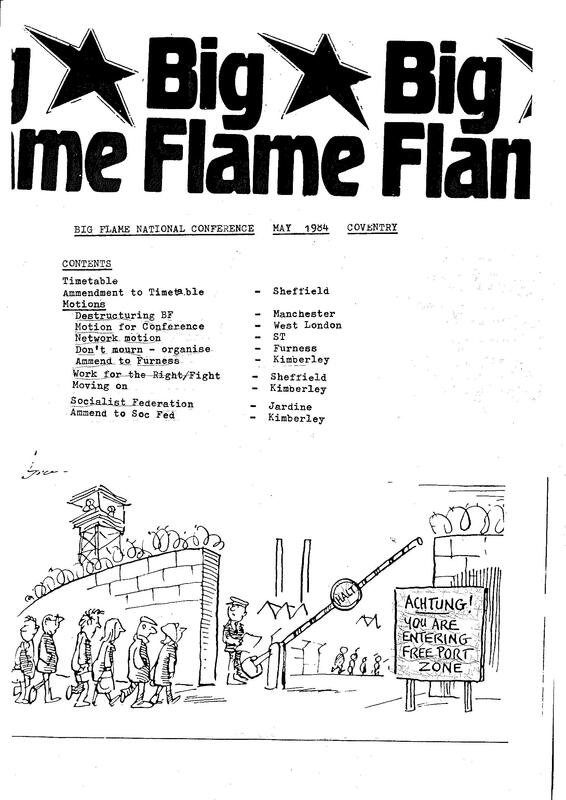 Over the years Big Flame members were involved in many struggles for better local government services, or to defend those already provided from cuts in expenditure. 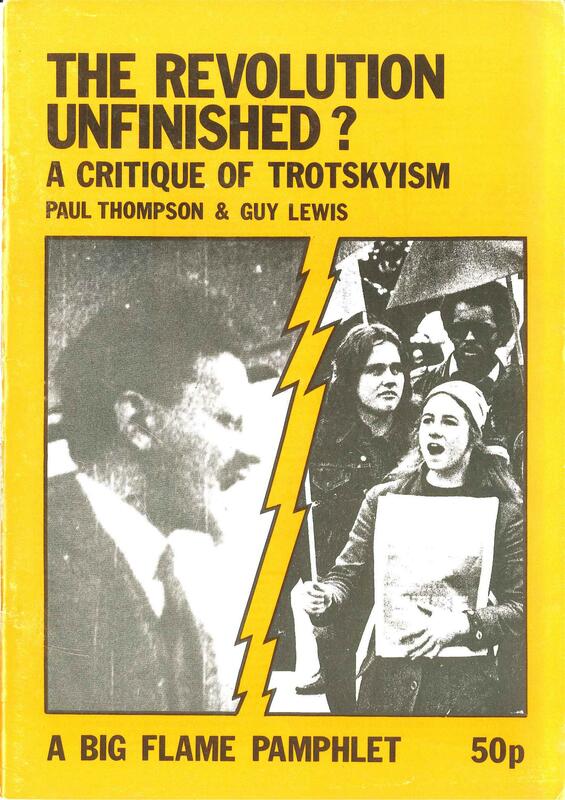 A major influence in the late 70s/80s on the left’s perspective on local government and community struggles came from some books published around that time (see 1960s And 70s British Left Libertarianism: A Reading List) for some of the most significant). Cynthia Cockburn’s The Local State: Management of Cities and People published by Pluto in 1977 was one of the first to appear. However, probably the most influential was In and Against the State by the London Edinburgh Weekend Return Group. This was self published in 1979, then reissued by Pluto Press the next year. The name is derived from the fact that most of the authors lived in London or Edinburgh, and travelled by rail to one or the other of these cities to work on the publication. 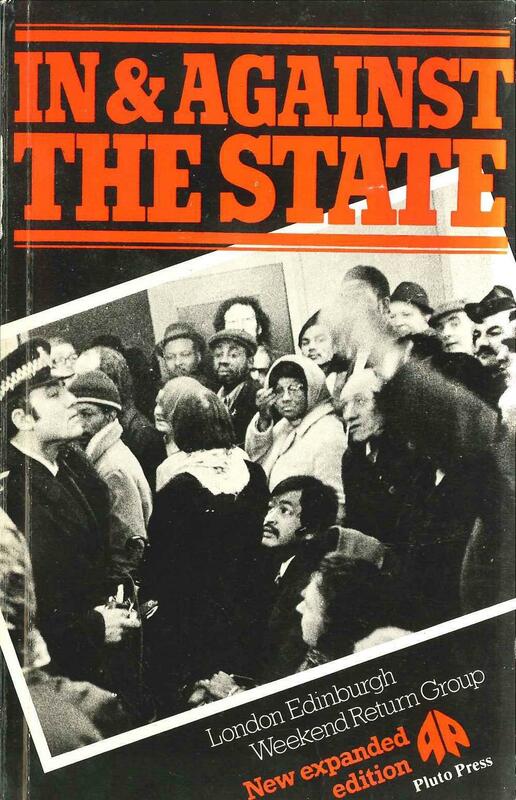 Many Left discussions of the state, both at the time and since, make references to the book. However, I sometimes wonder if the commentators have read further than the title. The book is presented as if it was a call to get involved with the state, including standing for elections. Rather the book is about the difficulties of struggling on the terrain of something whose every aspect reflects capitalist social relations. It does recognise that for some on the left this is their form of employment (indeed most of the authors were academics), so they need to find some way of challenging those social relations. Two reviews from within Big Flame did recognise what the book was actually about. 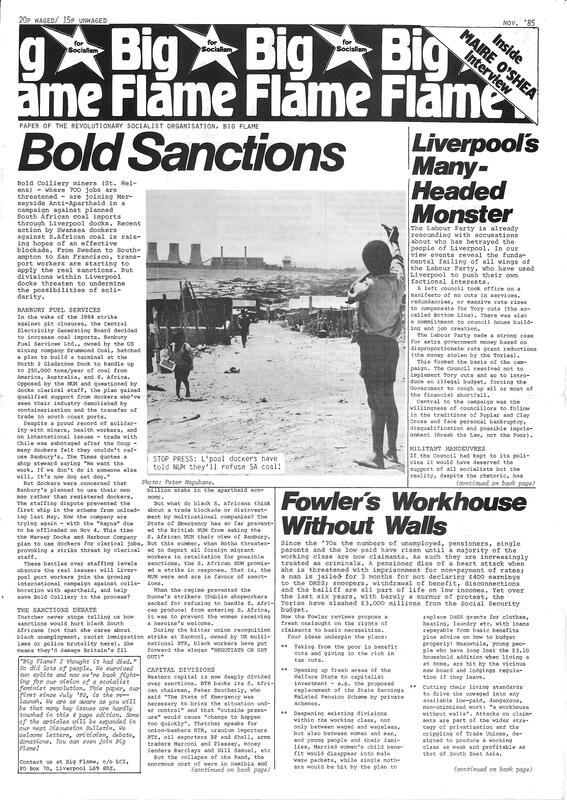 The newspaper for February 1980 included a review of In and Against the State: Working for the State . Describing the book as “well worth a read”, the review focuses on its analysis of the way the state perpetuates capitalist social relations between people and how difficult it is to organise within it. 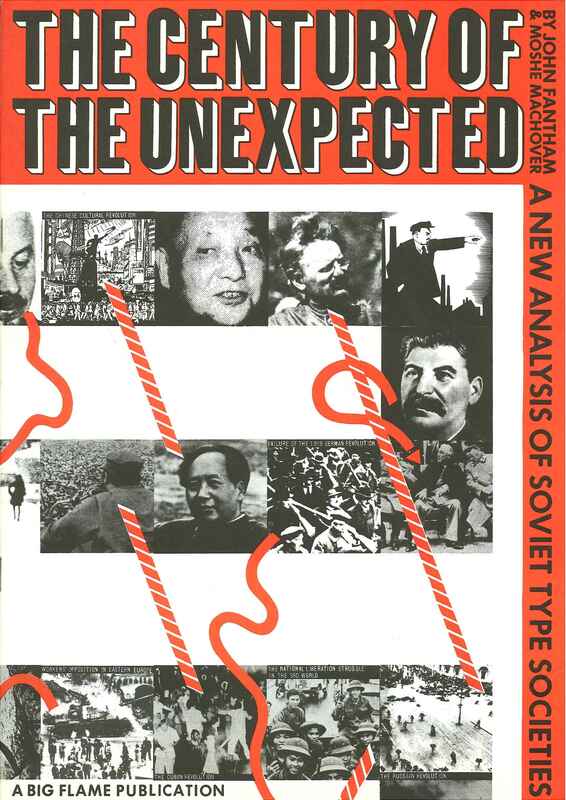 The book also provides “good and useful examples” of struggles which show what socialist forms of organising might be. The journal Revolutionary Socialism also reviewed the book (along with two other publications) in as “Struggling Against the State: Three New Contributions” in its Winter 1980-81 issue. The book is said to provide a “valuable understanding” of the nature of the capitalist state and recent developments in Britain. This review also highlights the book’s focus of the way the state reproduces social relations. As important as what the state does (for example delivering welfare services) is how it does it (confirming the regulation and control over people’s lives). Like the other review, this one notes the books emphasis on struggles which embody prefigurative politics. The Local State and the Public Sector: Discussion Bulletin April 1981. This article is a briefing on developments in local government. It looks back on five years of cuts to capital expenditure and in Rate Support Grant settlements, and forward to planned Tory legislation which will cap the budgets of individual authorities. It mentions many anti-cuts struggles that were underway at the time, and it sceptical of those campaigns led by Councils. They are seen as having undermined their position with previous rate rises and unlikely at the end of the day to defy the government. The task is to “rescue the kernel of communism that lies within the concept of services and public works run for use rather than profit”. There is a fleeting reference to In and Against the State, seeing as having a major weakness in its neglect of working inside trade unions. 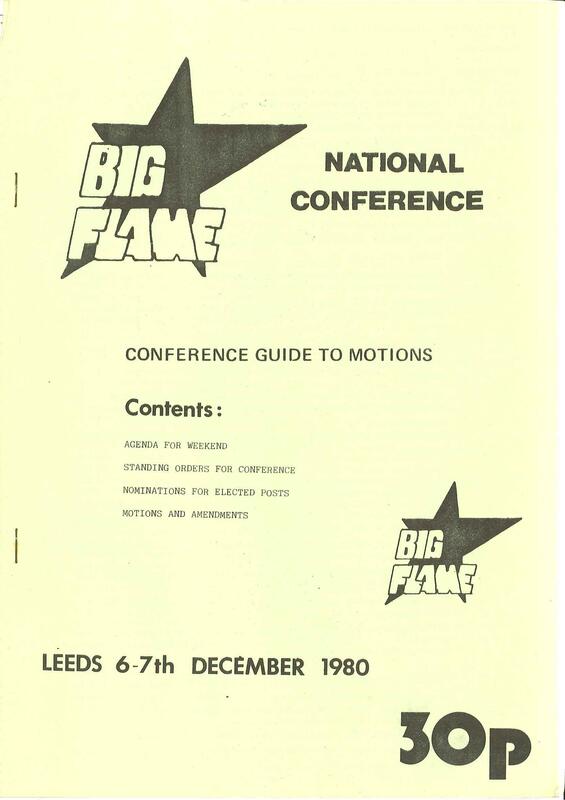 In 1981 a minority of Big Flame left the organisation and joined the Labour Party (see Episode 27). This included many of those BF members who saw the greatest potential in intervening in the local state. 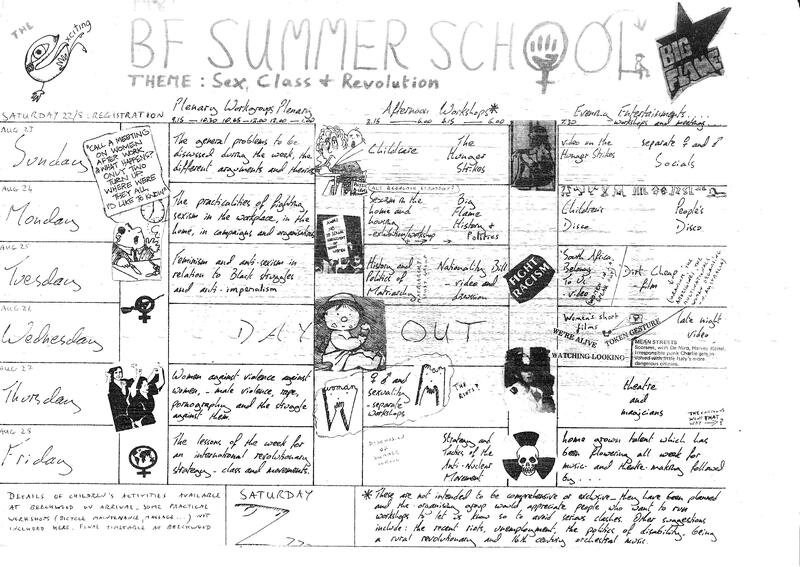 One those who left, a supporter of the “Group of Nine” wrote in the Discussion Bulletin in October 1981: “The political approach I am trying to describe means that socialist organising has to ‘in and against the state’.” This was a passing remark. The author didn’t go into any detail of how the “socialist reforms” he desired might be achieved, or the dangers inherent in following this path. Over the next few years those who remained BF members wrote a number of articles very sceptical of initiatives originating from left Labour Councils. 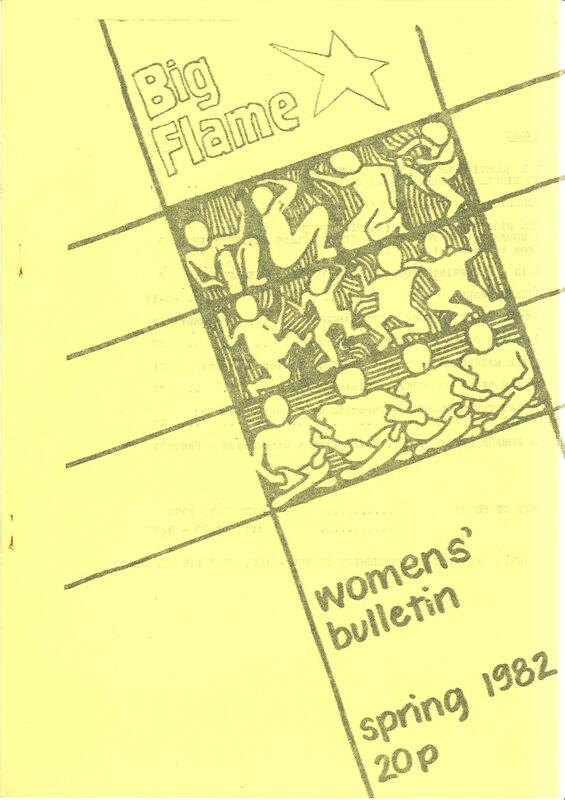 Working in the Welfare State: Discussion Bulletin June-July 1982. Written from the perspective of someone working in the Housing Department for Hackney Council in London. 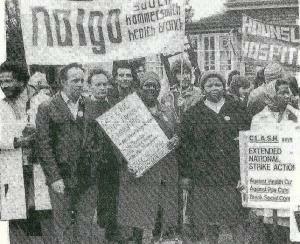 At the time the newly elected left Labour Council was seeking to decentralised services. The author believes that management hierarchy stifles the energy and enthusiasm of staff, and that Labour Councils carry out cuts in a “more insidious and subtle manner” than the Tories. He believes that the focus on decentralisation was “a way of avoiding problems”, but also suggests that the trade union response of seeing it as an opportunity for more jobs and better grading wasn’t adequate either. The author wonders about the way to applying BF’s politics of “autonomy”, and suggests a demand for a reduction in the number and tiers of management. 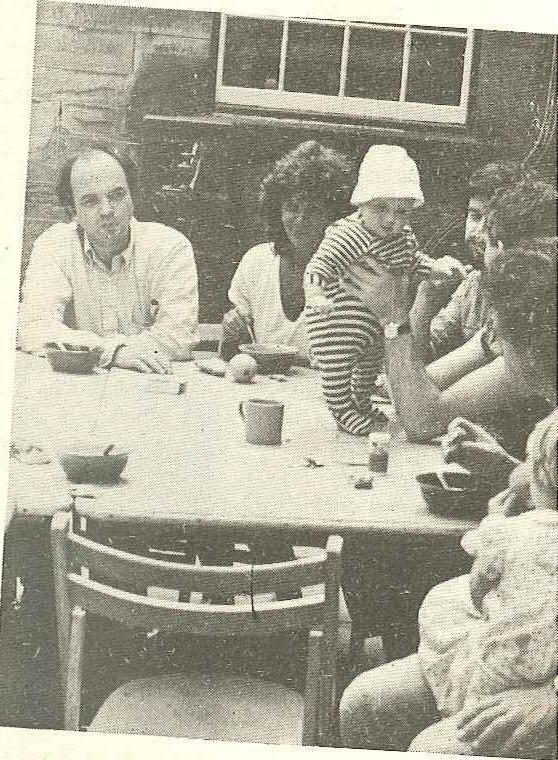 Hackney Goes local … Or Decentralisation for Beginners: Discussion Bulletin January 1983. This consists of notes of a discussion between BF members about the Hackney experience. The Council see decentralisation as something to win support against cuts. Instead it is more likely to produce frustration. People are likely to be co-opted and the power of trade unions fragmented. If BF is to get involved it has to be “in a way that encourages joint action to go further than the LP would like” and raise real issues of control over power and resources. Decentralisation: Labour’s Conjuring Trick: Paper April-May 1983. This author who lived in Haringey discusses developments across London. She believes that they key issue is whether decentralisation “will increase local awareness or involvement, or just co-opt activists”. It was not being introduced because people had asked for it, and the money might be better spent elsewhere. The Local State: Information Bulletin 1 August 1983. The final article discussed was written by a community activist in Southwark in South London where the new left has also taken over the Council. A year on and there has been “little change” as major problems have not been “solved”. The new left lacks “any understanding of the fact for most people their experience of the so-called services provided are extremely alienating and oppressive” or “any real relationship” with progressive movements. The writer does accept that an alliance with the Labour left is “necessary” but this has to be one in which Big Flame fights for the right of people to organise autonomously. A major issue for the left today is its response to radical Islam. Therefore, I thought it might be interesting to take a look at the approach Big Flame took to developments during its time. I have been able to find articles in the Big Flame newspaper which discussed events in Iran and Afghanistan, although many of the articles where written by one person and there were no articles in Revolutionary Socialism or the Discussion Bulletin. Its worth recapping what happened in the two countries during the period of BF’s life. Iran: The Iranian Revolution began in January 1978, leading to the Shah’s flight in January 1979. Khomeini returned to Iran from exile in February. Banisadr was President from January 1980 until impeached in June 1981. Iraq had invaded Iran in September 1980, leading to a war which continued for eight years. From early on the repression of the Mojahedin and leftist groups began, with many killed or arrested. In June 1981 the Mojahedin went underground to engage in a military struggle. Afghanistan: In May 1978 the People’s Democratic Party of Afghanistan (PDPA) overthrew the regime of Mohammad Daoud. The Soviet Union intervened militarily in Afghanistan in December 1979 to support one of the PDPA factions – Parcham. A war between Soviet and government troops and the CIA-funded Mujahideen continued throughout the 1980s. Iran 1979: Can Popular Power win? : Paper February 1979. Written just after the departure of the Shah. Sees both progressive and reactionary elements amongst the forces opposed to the Shah. The left is trying to develop workers’ councils, but is “very weak” and “can only play a marginal role at present”. It is already being physically attacked by religious militants. Khomeiny’s two front war: Paper December 1979. The Khomeini regime “does not know what it is doing” and the country is in a “state of semi anarchy”. There has been a massacre of Kurds and leftists are under threat of execution. Iran: the Reality is much more Complex: Paper May 1980. Argues that there is a need to look beyond the general picture of reaction. There is a remarkable level of politicisation amongst ordinary people. There are anti-government protests, with more opportunities for the opposition than under the Shah. The potential for a new wave of repression is “very real”. Gulf War: Paper October 1980. Written immediately after the Iraqi invasion. Saddam Hussein’s regime is “power hungry” with ambitions to dominate the region. 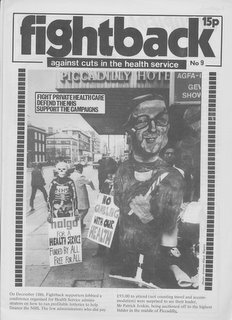 Clerical Fascism: Paper July-August 1981. A struggle to succeed Khomeini is predicated. Following the ousting of Banisadr, a crackdown on the left has begun. A “new fascism” of the Ismalic Guards has come to the fore, and Islamic laws introduced. Iran: what to make of the Mojahedin? : Paper April-May 1983. The Mojahedin is the largest organisation fighting Khomeini in Iran. Its positions are examined. It is found to present a socialist face in the west, and a different one when recruiting in Iran. The Mojahedin has formed the National Council of Resistance with Banisadr, which has a very moderate programme. One of the main criticisms the author makes of the Mojahedin is its view of women “trapped very much within reactionary Islamic anti-feminist dogma”. Some other left groups in Britain took a totally uncritical view of the Iranian revolution, before shifting to a totally negative position. 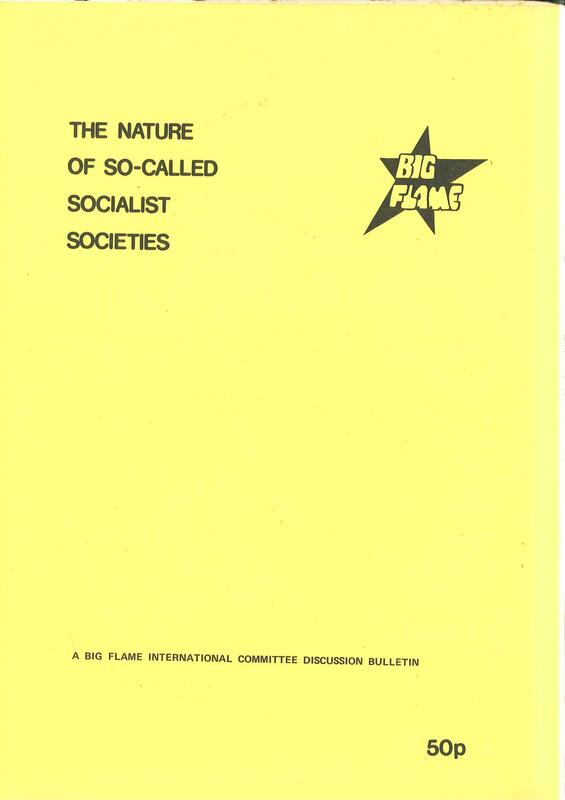 Big Flame tired to analyse the contradictions and struggles which were underway. 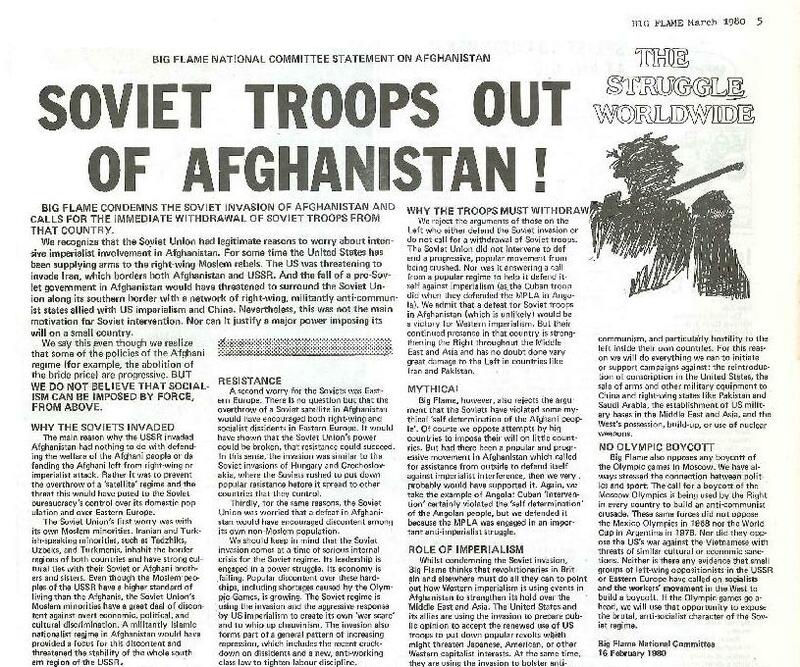 Soviet Troops out of Afghanistan! : Paper March 1980. A statement agreed by the Big Flame National Committee condemned the “Soviet invasion” and called for the withdrawal of its troops. It sated “we do not believe socialism can be imposed by force, from above”. The army had not been sent to Afghanistan to benefit the people of the country, or to defend a popular progressive movement, but to protect the Soviet Union’s regional interests. The statement did acknowledge that a defeat for the troops would be “a victory for western imperialism”. 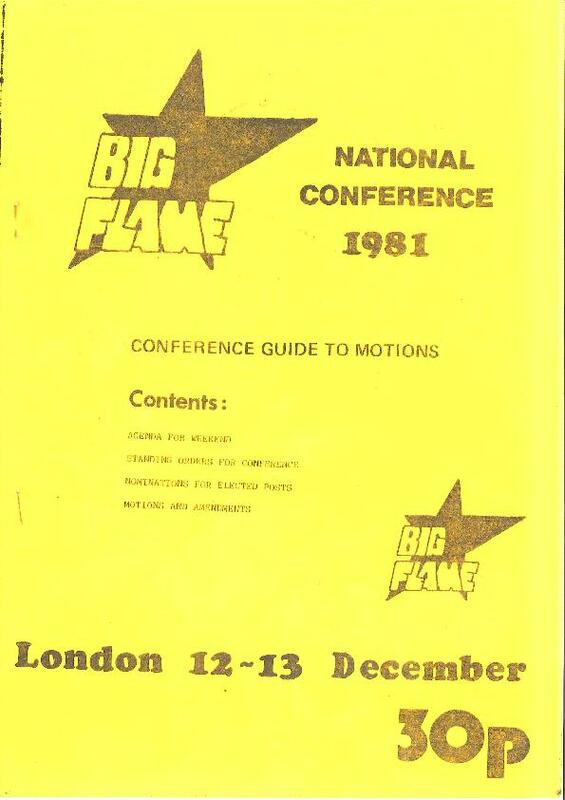 Big Flame as either a paper or an organisation was not around in 1988-89 to see the withdrawal of Soviet troops, or to comment on what happened after that.